» Carbon/Nitrogen Status Including Protease Activities of Arctic Soils Associated with Shrubs of Varying Height around Toolik Field Station, Alaska 2009. Organic and mineral soil cores were collected from 18 transects differentiated by shrub height into three replica groups: high (average 64 cm ± SE 1.01); medium (39 ± SE 1); and low (18 ± SE 0.4); and percent plant functional group cover. Replica sample cores were taken from each transect, and after homogenization and K2SO4 extraction, if required, samples were analyzed for % C (carbon) and N (nitrogen); non-purgeable organic C (NPOC); total N (TN); dissolved inorganic and organic N (DIN, DON); microbial biomass C (MB-C) and N (MB-N). As a measure of N status, protease activity (native and potential) was determined together with total free amino acids and total soluble protein. Bulk density and pH values were also measured. K2SO4 extracted samples from a three-month incubation were analyzed as above and net mineralization was assessed. Study area. 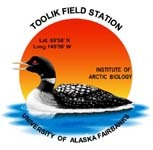 Transects were established near Toolik Lake at the Arctic Long Term Ecological Research (LTER) Station located in the foothills of the north slope of the Brooks Range in Alaska, USA. Transect sites were identified from vegetation maps using GIS imagery with the smallest mapped area of 0.6 hectares. Transects were each 50 meters (m) and were differentiated into three groups of six, characterized by shrub height: high, medium and low; and plant functional group cover. Plant functional group cover and vertical structure. The height of the tallest shrub was measured within a one meter squared plot at every 5 m along each 50 m transect resulting in 10 measurements per transect. From these determinations a mean tallest shrub height was calculated for each transect. Percent cover of each functional group (deciduous shrub, evergreen shrub, forbs and graminoids) was measured for each transect using the line-point intercept method (Herrick JE, Van Zee JW, Havstad KM, Burkett LM, Whitford WG, 2005. Monitoring Manual for Grassland, Shrubland and Savanna Ecosystems USDA-ARS Jornada Experimental Range. The University of Arizona Press,Tucson, Arizona, USA). At every 0.5 m interval along each 50 m transect, a rod was placed vertically through the top of the canopy to the soil surface. The first species that “hit” the rod was recorded. Percent cover of each functional group for each transect was calculated by dividing the number of first hits for that group divided by the total number of all first hits for the entire transect. The mean number of tussocks was determined by counting the number of tussocks in 10 one-meter squared areas per transect and calculating the mean. Soil samples. Three replica cores of organic and mineral soil layers were taken at each of three positions (15, 30 and 45 m) along each transect. Each soil core consisted of 0-10 cm and 10 cm+ organic and 0 to 10 cm mineral components. The interface between the two layers was the 0 cm mark of the mineral core. The cores were frozen at -20º C and shipped to the University of Florida, Gainesville FL USA for storage at -20º C. After homogenization subsamples were taken for % C and N, microbial biomass C and N, pH, bulk density, total soluble protein (TSP), total free amino acids (TFAA), and native and potential protease activities, NPEA and PPEA, respectively. Subsamples were also extracted with 0.5 M K2SO4, and extracts were analyzed for non-purgeable organic C NPOC), total N (TN), and dissolved inorganic N (ammonium and nitrate) (DIN). Dissolved organic N (DON) was calculated from TN minus DIN. Subsamples were incubated for 90 days at 15º C; carbon and nitrogen mineralization was determined between 0 and 90 days from NPOC and TN analyses of 5 gram samples. Determination of soil chemical characteristics. Total C and N were determined using a Costech ECS 4010 Elemental Analyzer (Valencia, CA). The pH was measured for each soil core using a soil:water ratio of 1:2.5 for the mineral samples and 1:10 for the organic. NPOC and TN were analyzed using a TOC-LCPH total organic carbon analyzer with an attached unit for determining total nitrogen (Shimadzu Corporation, Tokyo, JAPAN). DIN was determined colorimetrically using an autoanalyzer (Astoria-Pacific International, Clackamas, OR). Extraction of TSP was done with 0.1 M NaHCO3 (1:5:w:v) (Ladd JN, Paul EA, 1973, Changes in enzymic activity and distribution of acid-soluble, amino acid-nitrogen in soil during nitrogen immobilization and mineralization. Soil Biology & Biochemistry 5:825-840; Weintraub MN, Schimel JP, 2005, Seasonal protein dynamics in Alaskan arctic tundra soils. Soil Biology & Biochemistry 37:1469-1475). After vacuum filtration the samples were spun 5 min at 14000 rev min-1 (Eppendorf Micro Centrifuge, Model 5415C, Brinkmann Instruments, Inc., Westbury NY) and the supernatants frozen at -20° C prior to analyses. Protein was measured against bovine serum albumin (0 to 100 μg ml-1) (Redmile-Gordon MA, Armenise E, White RP, Hirsch PR, Goulding KWT, 2013, A comparison of two colorimetric assays, based on Lowry and Bradford techniques, to estimate total protein in soil extracts. Soil Biology & Biochemistry 67:166-173) adapted for absorbance readings using a microplate reader (BioTek Instruments, Inc., Winooski VT). Distilled water was used to extract TFAA (1:5:w:v) (Kielland K, 1995, Landscape patterns of free amino acids in arctic tundra soils, Biogeochemistry 31:85-98). Amino acid concentration was determined as N using leucine as the standard (0 to 2.8 μg amino acid-N) and ninhydrin, which reacts with primary and secondary amines, and ammonia, as the detection agent (Lipson DA, Monson RK, 1998, Plant-microbe competition for soil and amino acids in the alpine tundra: effects of freeze-thaw and dry re-wet events, Oecologia 113:406-414). Regarding result computations, all negative values, except those for the mineralization data, were treated as zeros. Enzyme activity determinations. Soil core subsamples were weighed and divided into one or 2 gram wet weight aliquots for total protein and enzyme activity analyses, respectively. For enzyme analysis the samples were placed in specimen cups at 15° C overnight; incubation buffer (see below) was added the next morning. Toluene was added at a final concentration of 3.33% (v:v) to prevent immobilization of the product, amino acids (Watanabe K, Hayano K, 1995, Seasonal variation of soil protease activities and their relation to proteolytic bacteria and bacillus spp in paddy field soil, Soil Biology & Biochemistry 27:197-203). Soil incubation and measurement of protease activity. Soil slurries were prepared by adding incubation buffer (50 mM sodium citrate, pH adjusted to within 0.1 unit of the respective soil sample) acclimated to 15° C and toluene (Watanabe and Hayano, 1995; Lipson DA, Schmidt SK, Monson RK, 1999, Links between microbial population dynamics and nitrogen availability in an alpine ecosystem, Ecology 80:1623-1631; Weintraub and Schimel, 2005). NPEA was determined on these samples; 0.3% (final concentration) casein was added to a replicate set for determination of PPEA. All samples were incubated at 15° C for a total of 12 h. Subsamples were taken at 0, 2, 4, 6, 9 and 12 h. Enzyme activity was stopped by adding trichloroacetate (TCA) buffer (1:1:v:v), spun 5 min at 14000 rev min-1, and the supernatant frozen at -20° C (Lipson et al., 1999). Buffer controls in the absence of soil were treated exactly the same as the soil samples. Enzyme activity was determined with modifications and adaptations for absorbance measurements using a microplate reader (Watanabe and Hayano 1995; Lipson and Monson 1998; Weintraub and Schimel, 2005). Thawed samples were used for activity determinations; activity was measured as net amino acid production against leucine in 50% TCA buffer, which corresponded with the sample matrix and was found to have no effect on leucine concentration. Two standard curves (0 – 1.4 μg amino acid-N and 0 – 7 μg amino acid-N) were used depending on the activity of the samples. Three activity measurements were taken per sample, and activity was determined on soil dry weight or total soluble protein bases. Reactive NH4+ was not accounted for (see Weintraub and Schimel, 2005). Buffer control values were subtracted from the sample values throughout the 12-h time course. Enzyme activity was presented as accumulation of amino acids over 4 h spanning the 2 to 6 h time period. As above, all negative values were treated as zeros.